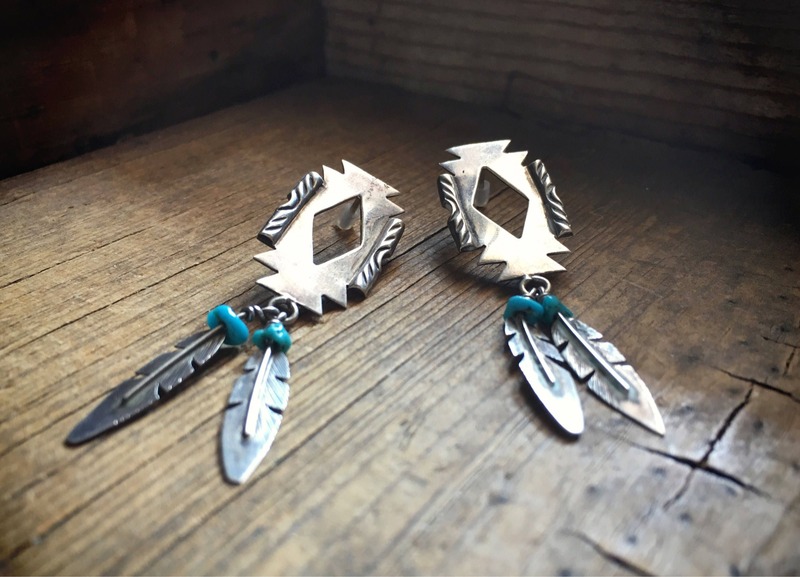 A light pair of post earrings that dangle, with a silver geometric rectangular shape that almost resembles a razor blade, and from it hang two feathers with small chip turquoise beads. 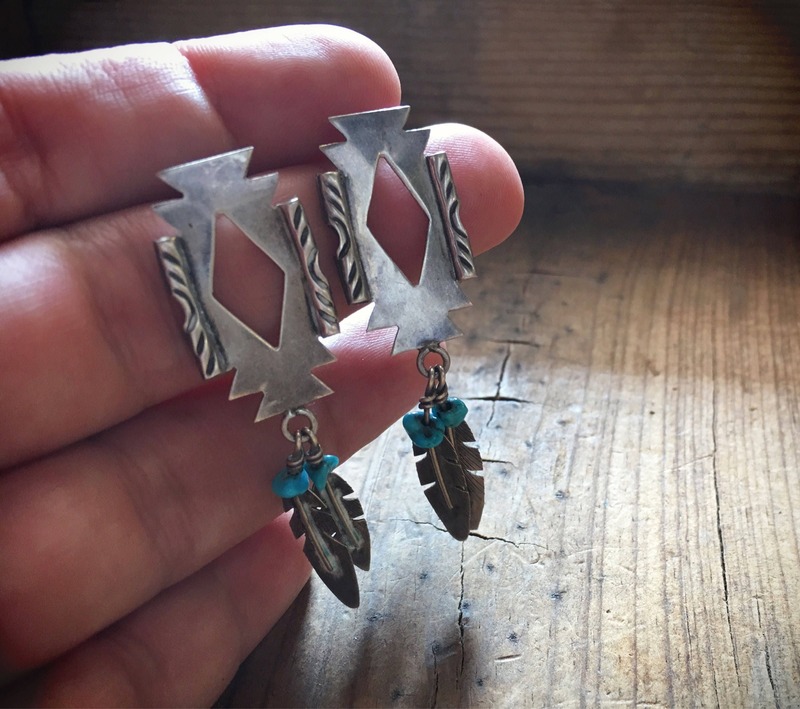 The earrings carry an artist hallmark WV, which is recorded in several Native jewelry websites yet with the artist still unknown. 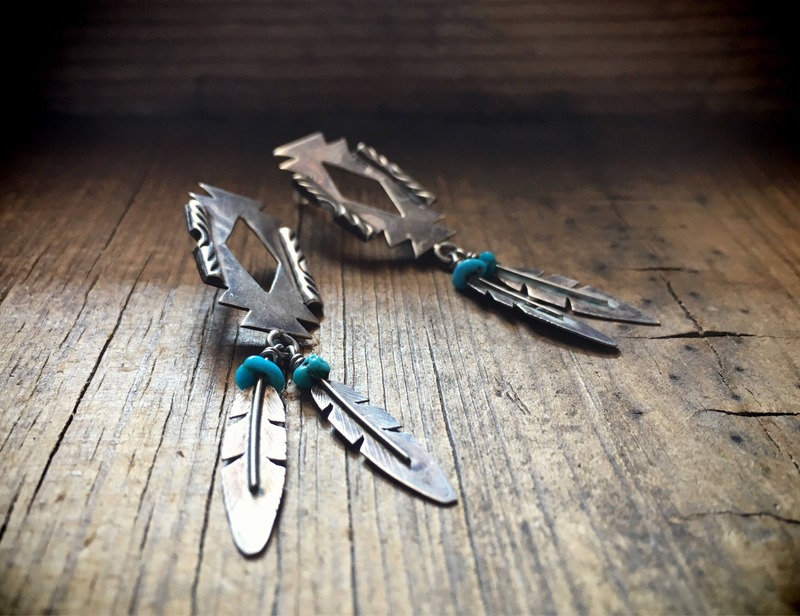 The earrings measure just over 2" long from the top of the rectangular piece to the tip of the feather. 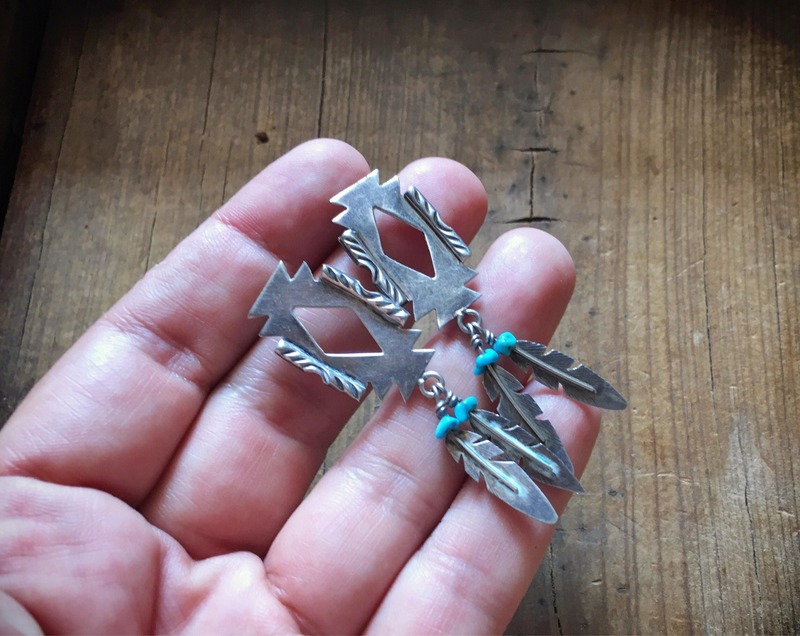 The rectangular part is about 5/8" wide by just over an inch. 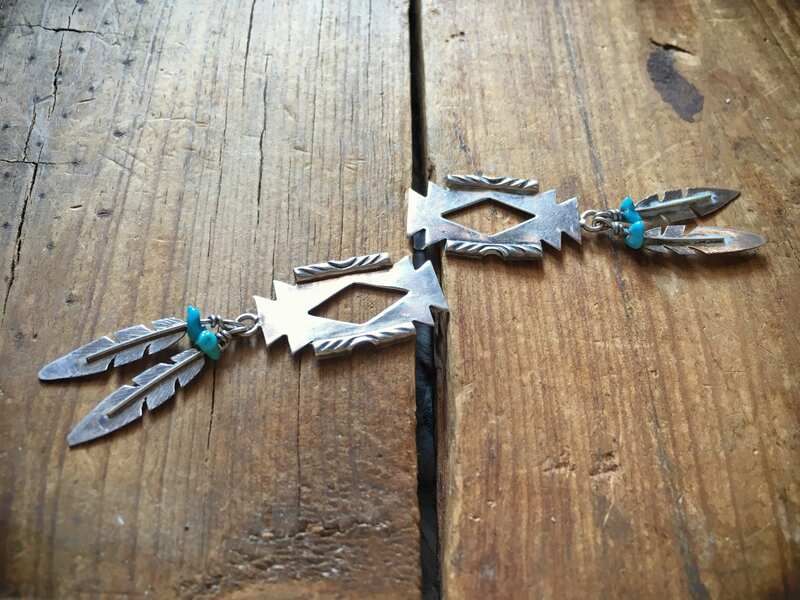 Silver has some small scratches; otherwise in good vintage condition. 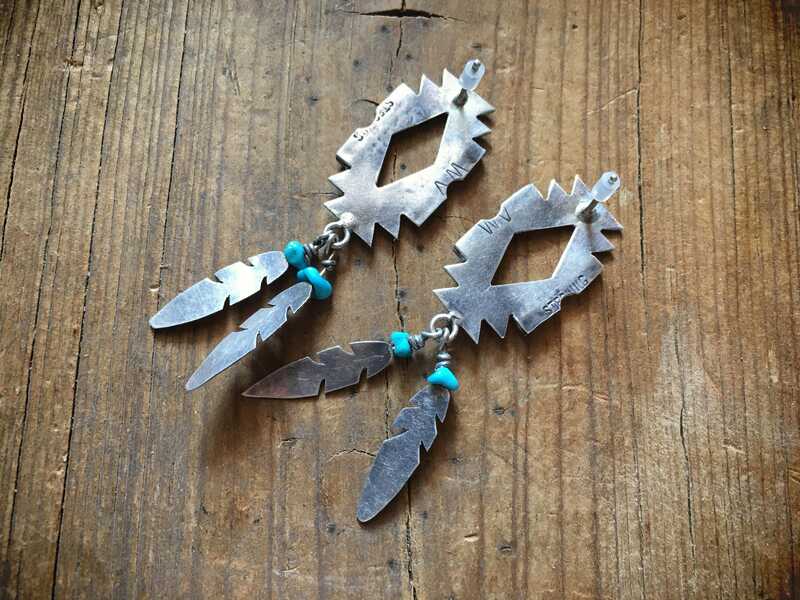 Traditional feather with a contemporary flair.